We will be back blogging and tweeting on the 3rd January 2017. Funding for this highlight notice is being provided by the Department for Education in order to produce insight into policy areas of interest to the Department and to promote the use of relevant datasets. The highlight notice provides up to 18 months funding for grants with an overall limit of £200,000 (100 per cent full Economics Cost (fEC). It is expected to fund around two projects in 2017. How does time from birth to return to work vary across the income distribution? Within households that have a child and a parent returns to work is gender or pay level the biggest determinant of which parent returns? For example: is it always the men who return, irrespective of pay? Further education – choice and quality, what works? This highlight notice relates to the Secondary Data Analysis Initiative (SDAI) and no other ESRC scheme. All SDAI scheme requirements, such as the inclusion of an early career researcher are also required for the highlight notice apart from the requirement to use ESRC funded data resources or infrastructure. However, the use of any secondary data resource is acceptable provided applicants are able to access it (proof of this right should be included in proposals where access is difficult). The deadline is 16.00 on 10 March 2017. Proposals funded through the highlight notice should start in September 2017 (for a period of up to 18 months). The Independent Social Research Foundation will launch a call on 23rd Jan 2017 for early career researchers (not more than 10 years post-PhD) in the social sciences. Grants of up to £50,000 are available to provide full relief from all teaching duties and all associated academic administration for a period of (up to) one year. Research expenses should be funded with matched funding from the host institution. ISRF are looking to fund research which uses new approaches to existing problems. Eligible research is: “Innovative research which breaks with existing explanatory frameworks so as to address afresh empirical problems with no currently adequate theory or investigative methodology. Innovation may also come from controversial theoretical approaches motivated by critical challenge of incumbent theories. Interdisciplinarity in the generation of new investigative initiatives may be achieved by combining, cross-fertilising, and so transforming empirical methods and theoretical insights from the social sciences. Projects ranging across the breadth of the social scientific disciplines and interdisciplinary research fields are welcome, and relevant applications from scholars working within the humanities are also encouraged”. The deadline for Fellowship applications will be 3rd March 2017. Those of you interested in European funding may find a new guide to opportunities for funding offered by the Joint Programming Initiatives (JPIs) useful. JPIs offer a mechanism for bringing together funding from different Member States to support research in areas of common interest. Projects need to be multi-country, but can offer opportunity for smaller scale projects than Horizon 2020. As with Horizon 2020, specific challenges are defined in the calls. In all cases the UK’s membership doesn’t automatically mean that UK participation is guaranteed, so you should always check that the UK has signed up to specific calls (Ed – it makes sense for the UK to prioritise involvement where the call topic and national priorities align well. If there isn’t a strong alignment UK funders will sometimes choose not to invest meaning that UK researchers can’t participate on a funded basis). Categories: Uncategorized | Tags: Antimicrobial Resistance, Cultural Heritage, Europe, JPI Urban Europe, Marine, Maritime, Neurodegenerative Disease, Research, Sustainable Agriculture, Water | Permalink. This free event is now open for registration. Registration and the event flyer is now available on the event website. Details: 14 February 2017, 9.30 am to 4.00 pm – The Liner Hotel, Lord Nelson Street, Liverpool, L3 5QB. 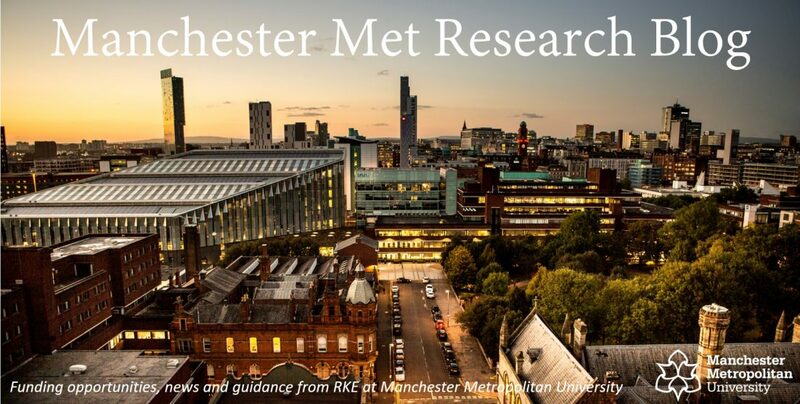 This NIHR Research Design Service North West (RDS NW) event is for health and social care professionals and researchers in the North West of England who want to develop and submit an application to NIHR Research for Patient Benefit (RfPB) or another NIHR research funding stream.